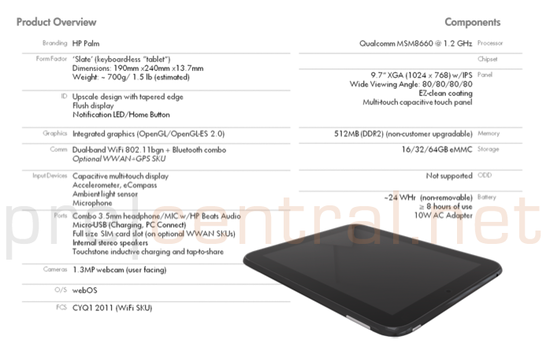 Our friends over at PreCentral were the lucky recipients of a presentation that details the specs of the upcoming webOS tablet codenamed Topaz. The document is reportedly from last year, so things could have changed. The Topaz tablet is said to be 9″, include 512MB of RAM and come in three sizes (16GB, 32GB, 64GB). The device is said to include a 1.3 megapixel camera on the front, no camera on the back. The device will support Touchstone charging, but a new variation dubbed v2. HP also intends to offer Flash support, in an effort to differentiate the webOS tablets from the iPad. The hardware looks impressive, but the success will depend upon HP’s ability to get developers on board and deliver applications that are tablet specific. PreCentral also details assorted changes to the webOS UI for tablets. How many days until February 9th? 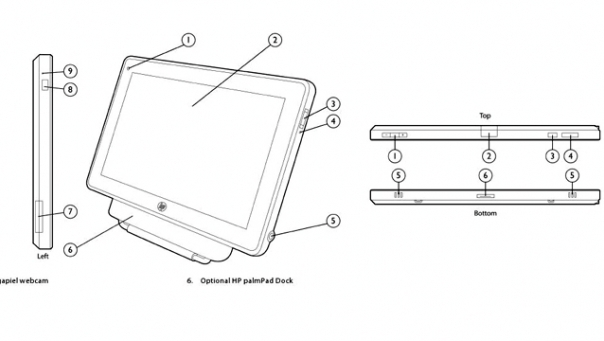 HP Files for HP Touchpad Trademark, Possible Naming for webOS Tablets? 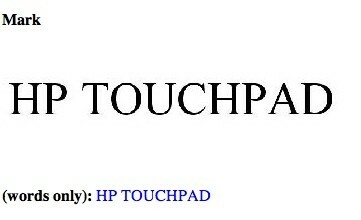 Yesterday, it was uncovered that HP had filed for a trademark for the term ‘HP Touchpad’. 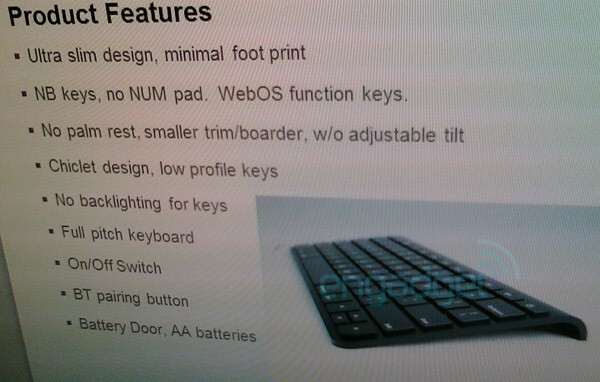 This has led to speculation that the forthcoming webOS tablets might include that name in some form. It seemed unlikely the company would go with PalmPad, given the transition to HP branding that’s been occurring as of late. So what do you think? Like the name HP Touchpad? Don’t care as long as it rocks? Let us know in the comments. Regardless of what happens on February 9th, HP|Palm has got everyone jazzed for the big unveiling of new webOS products. We expect tablets and multiple handsets at the event. Anything less would be a disappointment. Ideally, the company would hit it out the ballpark with both product lines. What if you had to choose one? What’s most important to you? Tablet or phone? CES is right around the corner and the first juicy rumor is that HP Palm will showcase the PalmPad, a tablet based iPad competitor running webOS. There is no doubt that webOS is ideal for a tablet format. 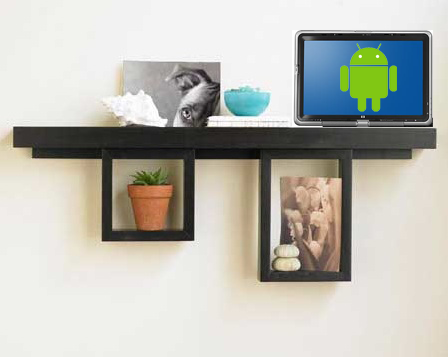 Just ask RIM whose BlackBerry Playbook uses some of the nuances found in webOS. If the rumor pans out, what will it take for the webOS tablet to be a success. They must provide a launch date and we don’t mean the vague launch dates that accompanied the original Palm Pre and the Palm Pre 2. Provide a rock solid date in March, but don’t lead with available in Q1. Price it competitively with the iPad. By competitively, we mean less. Don’t lock it to Sprint. While 4G is great, there are plenty of cities throughout the US that don’t currently have Sprint’s 4G service. The idea of paying for a premium 4G data plan to use the PalmPad doesn’t sit well with us. Following up on the previous point, there needs to be a WiFi only version. Don’t forget about phones. Success of webOS will be driven by phone sales. Dropping major new hardware in January will help move units and get the solid user base needed for the tablet to succeed. There should be one compelling selling point, one advantage as to why a user will purchase a PalmPad over Motorola’s new Android tablet or the iPad. Take that one point and drive it home with heavy advertising. Yes, leave the creepy girl at home for this one. No carrier exclusives. Look no further than the Palm Pre launch on Sprint for reasons why they might not be a good idea. Drop the Palm name and go with HP. We all know the cord is getting cut. This is a new product category for Palm, but HP is well known in computers. Make no mistake, this is a computer, so brand it that way. Hardware needs to be killer. Motorola will be delivering some heavily touted specs and the iPad 2 is likely coming before the PalmPad is released (if that March date is happening). You don’t want to be the tablet on the comparison sheet that loses the spec fight. Saying you have the superior OS is not enough. Bring hardware that’s on par with the OS. The biggest hurdle is development of apps. 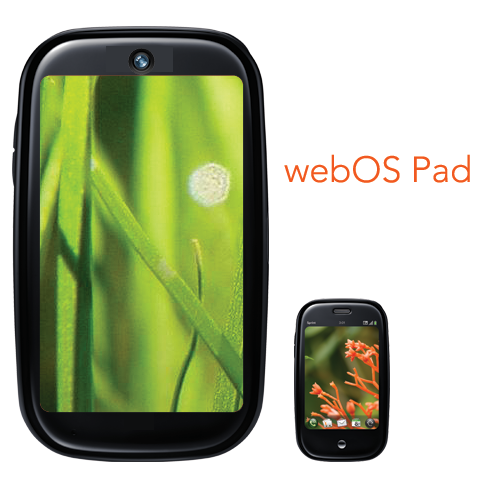 Like it or not, developers have not flocked to webOS. iPad apps are not giant iPhone apps, they are specifically designed with a tablet in mind. webOS apps need the same kind of treatment. Let us know in the comments if you agree, disagree or would like to add to the list. What does HP Palm have to do to make you buy a webOS tablet? According to report from Clayton Morris at FOX News, HP Palm is prepping a the rumored webOS based tablet for CES. Included in the article were some rudimentary drawings of the device, interestingly enough the device was branded as HP. Fox News sources say there will be three versions of the PalmPad and they will all run webOS 2.5.1. Yet another version will not be shown at CES, but will be aimed at university students and release in time for the fall semester. One version will run on Sprint’s 4G network. The PalmPad is rumored to be thinner than the iPad, has a mini-HDMI connector and offer both front/rear facing cameras with LED flashes. The edges are rounded similar to the Amazon Kindle. Outside of the front facing camera and HDMI out, the PalmPad’s specs are similar to the iPad. Morris says the PalmPad (and we’re not sure that’s the name the tablet will ship with) will be available in March of 2011. Our take: It wouldn’t be surprising to see this device at CES. HP Palm has several challenges they must address if the device is going to be a success. Today at the TechCrunch Disrupt conference, HP’s Todd Bradley was asked if they “had any intention of licensing webOS, to any other company“. Bradley, Executive VP of HP’s Personal Systems Group, replied with a definitive “No“. Bradley was also quoted saying, “emulating Apple is not part of our strategy“. Now we’ve heard HP talk about webOS printers and that certainly seems to be the plan, with Bradley saying HP expects to sell 15 million webOS-based printers. Tablets, printers and of course smartphones. 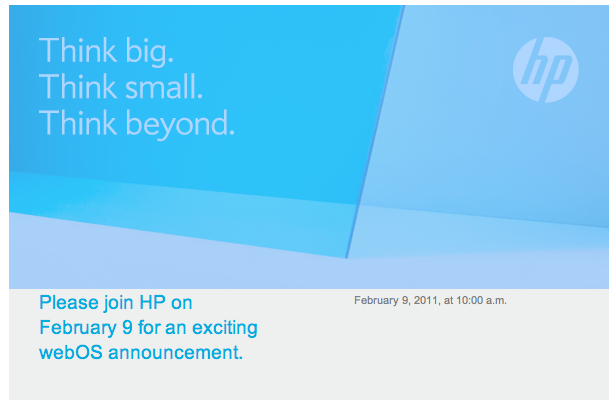 It should be a busy 2011 for HP. Competition in the tablet space certainly heated up today with RIM’s announcement of the BlackBerry PlayBook, a tablet that will be available in early 2011. In a recent trademark filing, HP is looking to trademark PALMPAD. The categorization is generic, but we know what’s at play here. HP has suspended their Android tablet, there’s no word on the status of Windows 7 Slate, so perhaps it’s all hands on deck for a webOS tablet. Securing the trademark PALMPAD is no guarantee that HP will actually release a product named the PalmPad. HP is likely securing a number of name in the event they decide to go to market with a product called the PalmPad. We still don’t put much into the original HP Hurricane rumors, but it would be surprising if HP weren’t working on a webOS based tablet. After all, they did purchase Palm for webOS and they are doubling down. What would you call the mythical webOS powered tablet? Sound off in the comments. According to John Paczkowski at Digital Daily, HP has been working on an Android tablet that was originally scheduled for release later this year. No reason was provided as to why it’s being delayed and it wouldn’t come to a surprise to us if it never saw the light of day. Let’s face it, HP is doubling down on webOS. If that’s the case, then it’s full steam ahead on a webOS powered tablet. With the combined resources working on a webOS tablet, is it reasonable to think we might see such a device this year? The recent rash of less-than rumor surrounding HP deciding to run webOS on their upcoming Slate tablet were thankfully put to rest today by HP’s Chief Technology Officer Phil McKinney. 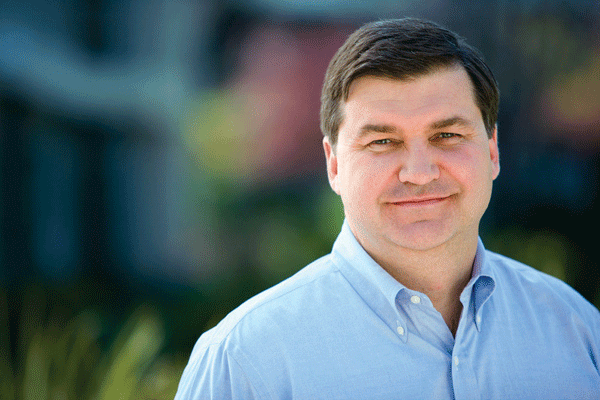 When asked by ZDNet if it would run Palm’s webOS, McKinney replied, “Don’t believe everything you see online“. Before we have HP putting webOS in toasters, printers and tablets oh my… let’s wait until the ink is dry on the final sale. 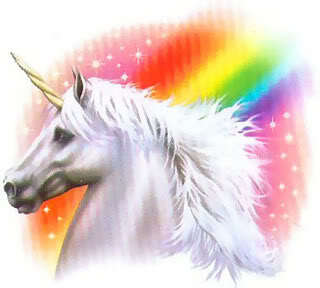 We’d love to see webOS on a tablet someday, but we’d also love to see a rainbow striped unicorn. Neither are happening this year, although if a unicorn shows up we’ll name it “Hurricane”.